Back in April 2016 China launched a yuan-denominated gold price fix on the Shanghai Gold Exchange (SGE), while in June Hong Kong Exchanges and Clearing Ltd. signaled its readiness to introduce a physically-delivered gold futures contract, settled in yuan and the US dollar in September. "Asia, the top bullion-buying region, has seen several gold contracts launched in the last few years as it clamors to gain pricing power over the metal," Reuters reported on June 14. Simultaneously, Beijing is accumulating the precious metal at a steady pace. According to the World Gold Council's latest chart, China's official gold holdings amount to 1,828 tons. For comparison's sake, in the second quarter of 2000 Beijing owned only 395.01 tons. Meanwhile, China is pushing ahead with the internationalization of its currency. On October 1, the International Monetary Fund's SDR (Special Drawing Right) basket will be officially expanded to include the Chinese yuan (renminbi, RMB) as the fifth currency, along with the US dollar, euro, the Japanese yen, and pound sterling. It seems that Beijing is seeking to boost demand for the yuan, at the expense of the US dollar. These developments have prompted a lively debate regarding the possibility of a gold-backed renminbi competing with the dollar, and China's increasing role on the bullion market. "The recently-opened Shanghai Gold Exchange differs greatly from the London Gold Exchange in one fundamental area: In Shanghai, buyers take physical delivery of gold whereas London deals in paper-based gold futures contracts. In Shanghai, 'what you buy is what you get' whereas in the West, gold is a virtualized commodity," Tom McGregor, Commentator and Editor at CNTV (China Network Television), told Sputnik. Mathew Maavak, geostrategic analyst and doctoral candidate in Security Foresight at Universiti Teknologi Malaysia (UTM), calls attention to the fact that over decades the West has been deliberately downplaying the role of gold in the world monetary system. "Precious metals like platinum, gold and silver form universal standards of exchange in their own right, especially during times of economic uncertainty and currency volatility. During the Great Depression, the United States prevented the emergence of an alternative instrument of exchange (i.e. currency) through Executive Order 6102 in 1933 which forbade 'the hoarding of gold coin, gold bullion, and gold certificates within the continental United States'," Maavak narrated. In fact, the US government effectuated a "monetary coup" on behalf of the Federal Reserve, the analyst pointed out, highlighting that the White House almost "forced" the dollar upon the Americans. "Governments routinely prevent the rise of alternatives to their currency monopoly when the economy turns south. Last week, the Australian federal police confiscated a whopping 5,465 ounces of silver (worth roughly $106,000) from a home in the state of Queensland, as part of a larger series of raids instigated by the Australian Tax Office. The message seems clear: Private gold holdings may not be a viable rainy-day hoard. Not in the West," the geostrategic analyst explained. In contrast, a gold yuan backed by the Chinese government may offer a universal guarantee for both domestic and foreign investors, according to Maavak. However, to implement the plan, China needs a large stock of physical gold, he stressed. "Therefore, China's gold-buying spree — spanning years if not decades — evinces a good degree of risk foresight. This spree could also be part of an emerging regional stratagem to anchor gold as a facilitator of regional trade. Russia has been equally busy building up its gold stockpiles while India has the largest private gold holdings in the world, estimated conservatively at 20,000 tons. This is worth more than $1 trillion!" Maavak emphasized. 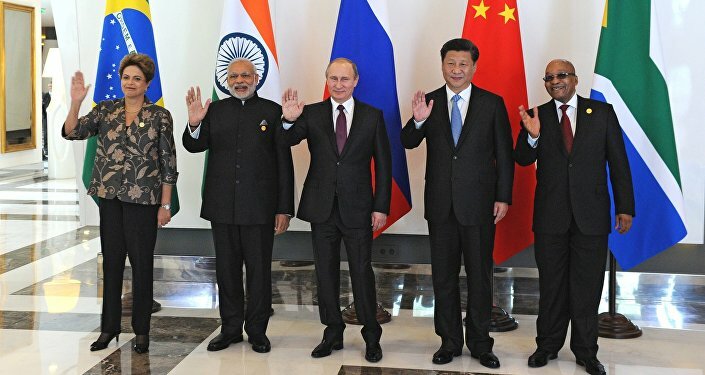 Over the last few years Russia, India and China have intensified their work on infrastructural projects aimed at developing the Eurasian trade space. Along with the China-led New Silk Road initiative, meant to stretch from east to west of the Eurasian continent, the International North-South Transport Corridor, championed by Russia, India and Iran, has caught a second wind. However, there are experts who express doubts regarding the efficiency of the Eurasian infrastructural projects aimed at creating a complex branched network of railroads and logistic hubs within the continent. 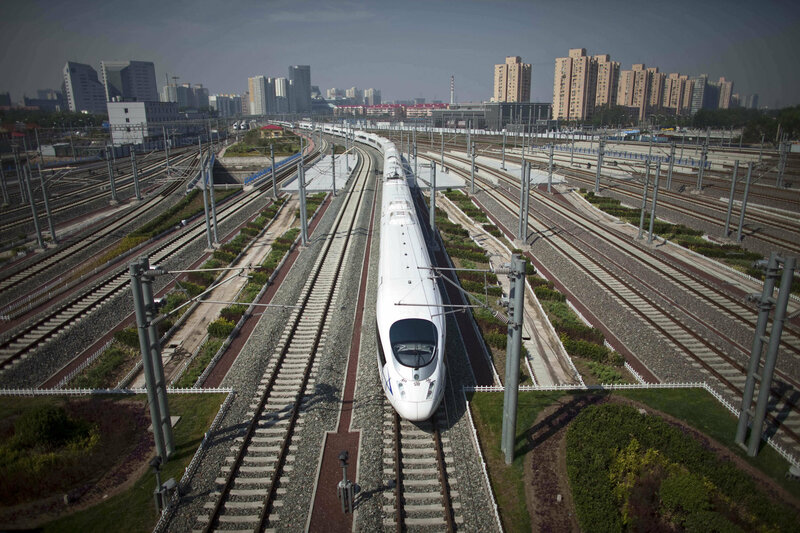 For instance, in his latest op-ed for the Carnegie Moscow Center, Ivan Zuenko, a research fellow at Far Eastern Federal University, argues that Beijing's railway transportation projects linking China to Europe have not yet been proven cost effective. "If for some reasons Beijing stops subsidizing land logistics, the prospects of its further development would become bleak," Zuenko suggests. "I think that assertion by Zuenko needs to be partially re-assessed. For one, it is not Greater Eurasia's long-term infrastructural viability in question here, but the viability of Europe as a high-profit export destination. More than 90% of the OBOR [One Belt, One Road] network is situated within Greater Eurasia. There might be significant re-routing and spurring in the years ahead to fortify regional geo-economic autarky," Maavak told Sputnik. In his March interview with CCTV the geostrategic analyst highlighted that China is "facilitating trade and development for Third World nations in ways major Western funders could not." Beijing is interested in boosting logistic networks in Eurasia and therefore it founded the Asian Infrastructure Investment Bank (AIIB) to fund the projects. Furthermore, "China may also offer barter trades in lieu of cash transactions for rail infrastructure projects, as was the case with Thailand. It seems to work. For cash-strapped economies, barter may emerge as an essential instrument of regional economic stability and a 'gold yuan' may help facilitate such a paradigm shift," Maavak elaborated speaking to Sputnik. In the context of the ongoing Eurasian integration, the RIC (Russia, India and China) nations may "weaponize" their gold holdings to ring-fence the Greater Eurasian geo-economy, according to the analyst. "Needless to say, this stratagem must be backed by military prowess, and all three nations are coincidentally on a weapons acquisition spree as well," Maavak stressed.